Sherry's artwork focuses on texture and its resonance with the subject. 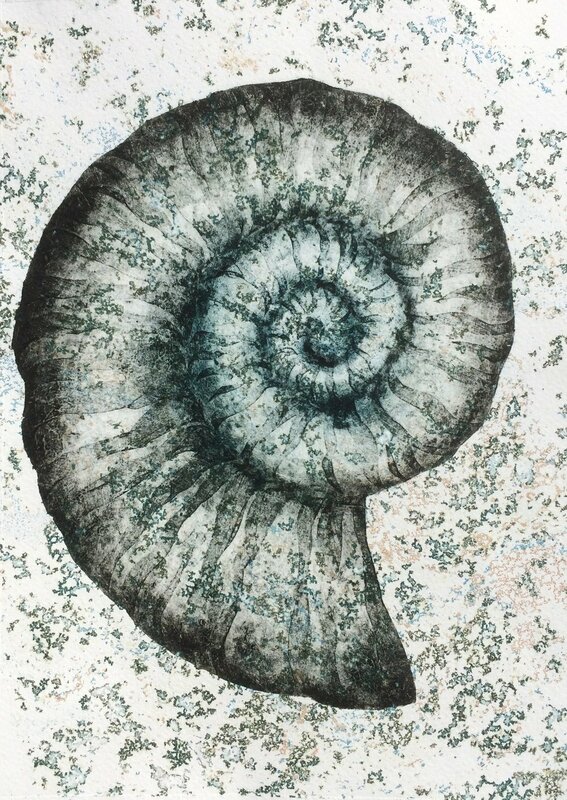 Using collagraph, monoprint, and drypoint, she often explores her keen interest in biodiversity to create images incorporating the tactile aspects of a wide range of plants and animals. Sherry enjoys sketching and making prints of the plants and wildlife in her garden, and in the surrounding Cambridgeshire countryside. Her art may also include observations and influences from her travels farther afield. Sherry's work often draws on her work in biology (she has a Ph.D from Oxford University and currently tutors biology part-time). Originally from Broadstairs, Kent, where she grew up a stone's throw from the beach, Sherry's prints also reflect her coastal roots. Sherry exhibited in the Cambridge Original Printmakers Biennale, 2018, and at West End House Art Gallery, Smarden, Kent in an exhibition entitled 'The Illustrated Garden'. Her work is included in the book by the same name and in 'Limited Edition' (both published books by Mascot Media). Sherry studied printmaking at the Curwen Print Studio. She exhibits regularly with the Cambridge Drawing Society and participates in Cambridge Open Studios, opening her studio in Elsworth where she also runs occasional printmaking workshops.